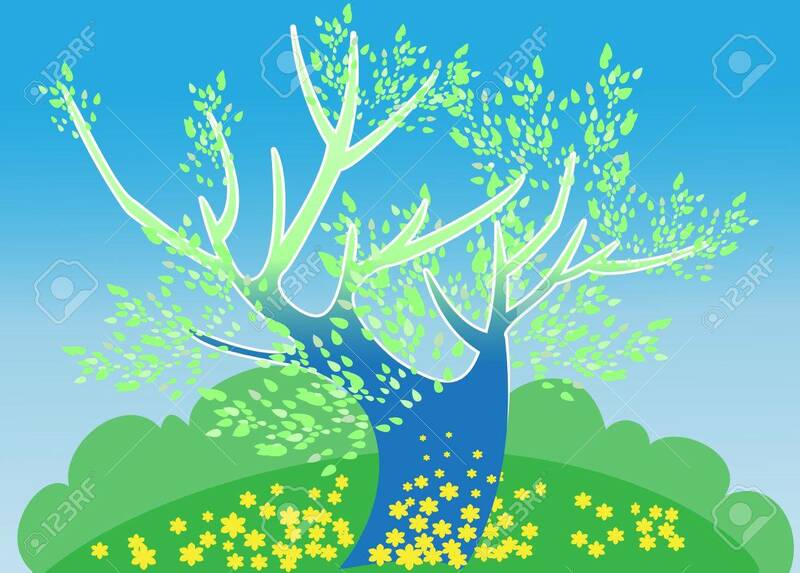 Spring Landscape With A Tree, Covered With The First Leaves,.. Royalty Free Cliparts, Vectors, And Stock Illustration. Image 14863021. Vector - Spring landscape with a tree, covered with the first leaves, and a field of daffodils. Spring landscape with a tree, covered with the first leaves, and a field of daffodils.